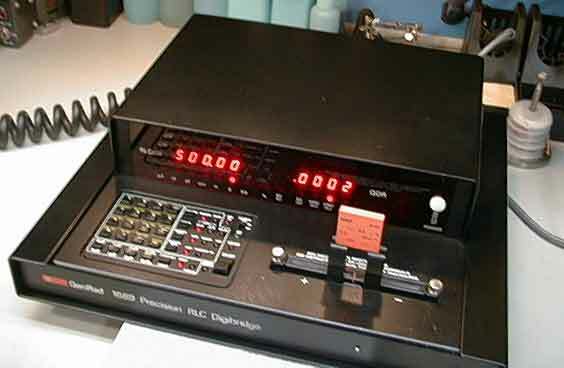 This instrument is the bench mark in LCR meters for precision (.02% basic accuracy) and speed (Up to 30 readings per second). 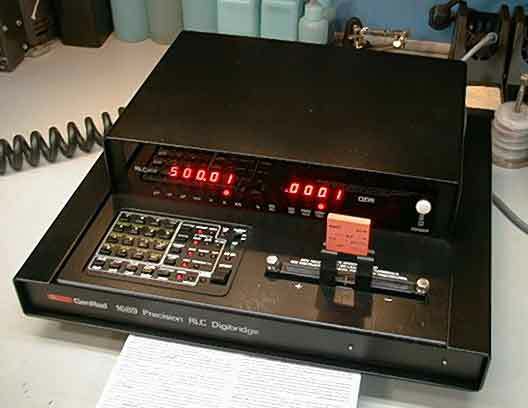 The 1689 keyboard is simple to operate using the prompt sheet. 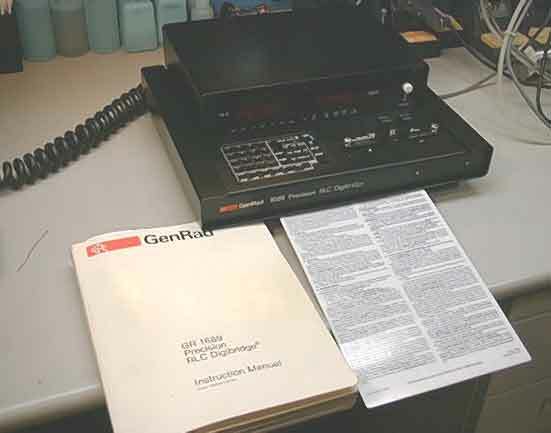 Included are the Prompt Sheet, set of Genrad Radial Clips and the Operation & Service Manual. This unit has been professionally referbished and is in near Mint Condition. It is in excellent physical and electrical condition. It is seen in the photo with an ESI 500 Ohm percision resistor. The 1689 automatically measures R L C D & Q it displays capacitance from .00001 pF to 99999 microF, resistance from .00001 ohm to 99999 Kohms, and inductance from .00001 mH to 99999 H with .02% accuracy, D & Q from .0001 to 9999. External Bias Voltages to 60 vdc maybe applied from a rear panel input. An Internal bias of 2 volts may be applied to capacitors by using the INT BIAS function. Test Voltages from 5 mV to 1.275 V in 5 mV steps are available. 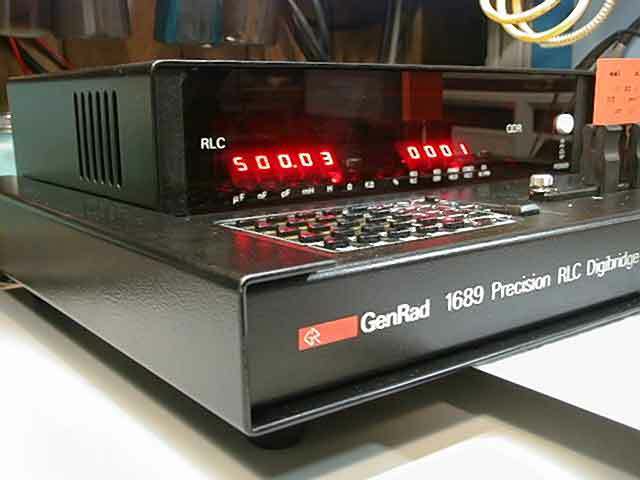 Over 500 test frequencies may be selected from the range of 12 Hz to 100 kHz.